Hi peeps ! 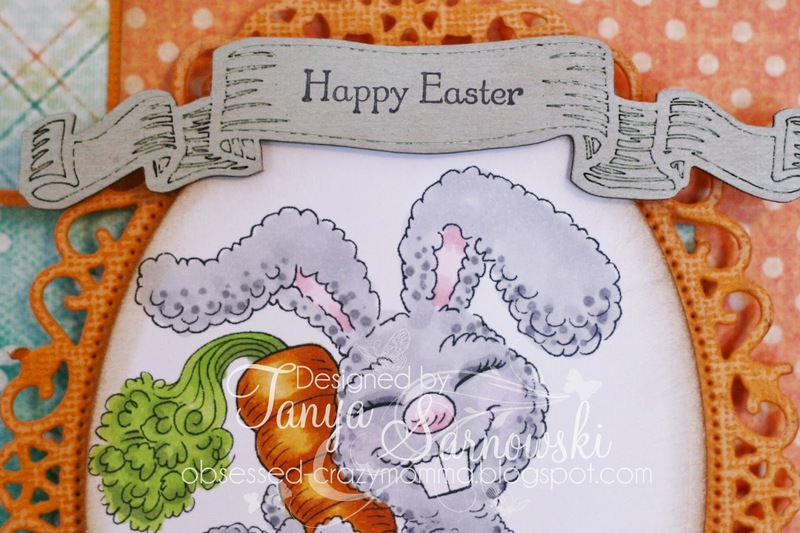 How about another Easter card ? Yep I and I got another one after today's card. 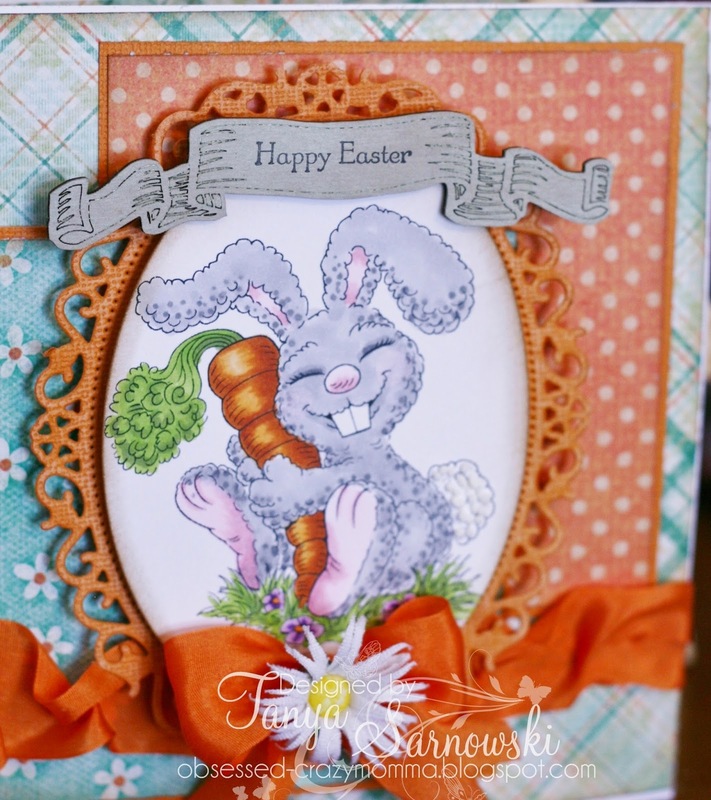 I'll show you that one tomorrow.But today I'm showing this adorable bunny from Karen's Doodles.It's an oldie but a goodie. I just love the way he's hugging that carrot lol. So my papers are not Easter ,as matter fact I believe it was a summer line from My Mind's Eye. I believe in versatility . I have been known to use Christmas papers during the off season lol. Gotta make it work right,And if you're on a budget this is a great start to saving money. That delicate beauty of an oval is from Spellbinders. It's a favorite of mine. Another great chipboard piece from Southern Ridge Trading Co. I stamped the sentiment from Stampin Up onto the chipboard after I agve it a quick dust of distress paint. This is great Hun! I love those colours together! One of my fav combos!